"From the well-loved stories by Rudyard Kipling. A little boy escapes a man-eating tiger, and is adopted by a family of wolves. 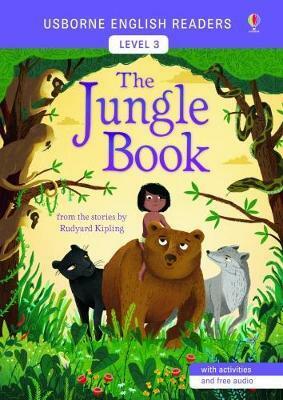 The animals teach Mowgli to live in the jungle, but Shere Khan the tiger is his enemy for life. Eventually Mowgli must confront Shere Khan, and find where he truly belongs. The Usborne English Readers series is a new range of graded readers in simplified English for younger learners. They include activities, glossaries and a full audio recording of the text in both British English and American English."